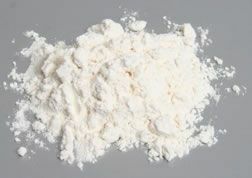 Most types of flour are composed mainly of carbohydrates, but the quantity varies according to the type of substance used to create the flour. Some types of flour (especially those ground from nuts) contain more fat and protein than carbohydrate, which is why it is difficult to produce nut flours that are as dry and finely ground as flour produced from grains. 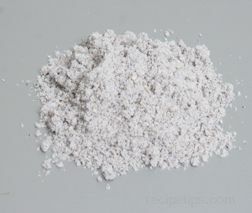 Various types of flour milled from grains (especially wheat) are the types that most people are accustomed to, however flour varieties ground from seeds, legumes, tubers, and nuts are often used and have an equal number of nutritional benefits. The table below describes key nutrients present in various types of flour. 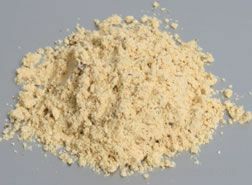 Amaranth flour contains more fiber and iron than wheat and it is a good source of calcium. 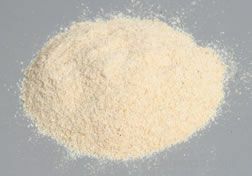 Amaranth flour is high in protein and when it is used in combination with other flours (such as wheat), the protein value is as beneficial as fish or poultry. 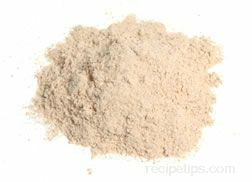 Arrowroot flour is high in fiber and is easily digestible, so it is often used in breads and biscuits for small children. It is gluten free so it is a beneficial substitute for individuals allergic to gluten (celiac disease). Flour produced from whole barley is much more nutritious than flour ground from pearled barley because the bran is left intact. Whole barley flour is considered an excellent ingredient for providing soluble fiber, which helps to reduce cholesterol in the blood. 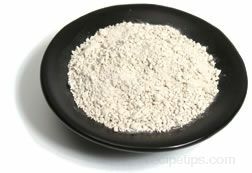 Buckwheat flour is a rich source of nutrients and it is gluten free. In spite of its name, buckwheat is not a type of wheat, but is actually an herb plant related to rhubarb. Buckwheat flour is an excellent wheat flour substitute for people who are allergic to gluten (celiac disease). 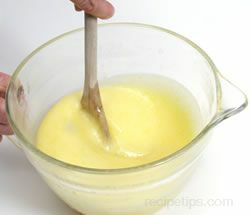 Corn flour is a good source of several important nutrients. It also contains protein, but not to the same degree as many other types of flour. Since it is gluten free, it is an excellent wheat substitute for people who are allergic to gluten. Like whole flaxseed, the flour is equally nutritious. It is an excellent source of cholesterol-reducing omega-3 fatty acids and soluble fiber. It is also one of the best sources of lignin, which may play a role in fighting certain types of cancer. 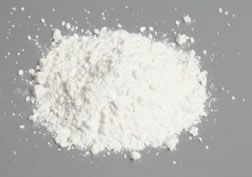 Flour milled from Job's Tears is reported to be beneficial in revitalizing the blood and nervous system. Kamut grain is organically grown and the flour is highly nutritious with higher levels of protein and potassium than regular wheat. 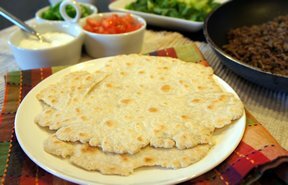 The gluten in Kamut flour is often said to be easier to digest than the gluten in wheat flour. The natural alkalinity of millet flour makes it easily digestible, so it is very beneficial for people with ulcers and digestive problems. It is also believed to be one of the least allergenic varieties of flour. 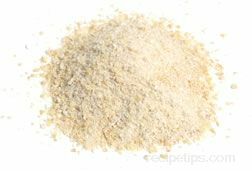 Oat flour is very nutritious and is considered a good source of the soluble fiber betaglucan, which helps to decrease cholesterol in the blood. Quinoa flour is rich in protein and nutrients, especially amino acids. It contains about 17% high-quality protein, which is more than any other grain flour and is equivalent to milk in protein quality. All types of rice flour are high in protein, but brown rice flour has a higher level of B vitamins, iron, and fiber than white rice flour because the bran is included. Since rice flour contains no gluten, it is beneficial for people who cannot tolerate gluten in their diets because of a severe allergic reaction (celiac disease). Rye flour is available in light, medium, or dark varieties, which indicates the level of bran that is incorporated into the flour. Additional bran increases the nutrient level of the flour. Nutritionally, sorghum flour is similar to corn flour, but it has a higher concentration of protein. It is gluten-free so it is an excellent choice for people who are gluten intolerant. 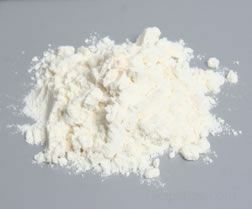 Flour ground from soybeans is very high in protein and low in carbohydrates. It is available in full-fat, low-fat, and defatted versions. The full-fat variety contains about 20% fat and 35% protein; the low-fat variety contains about 6% fat and nearly 45% protein; and the defatted variety contains less than 1% fat and about 50% protein. Soy flour can be added to wheat flour when making baked goods to boost the protein level. Spelt flour contains up to 25% more protein than wheat and it is a rich source of B vitamins and fiber. It has been shown that the carbohydrates in spelt flour are useful in enhancing the immune system and in helping to clot the blood. Sweet potato flour is high in fiber and contains a higher level of carbohydrates and lower level of protein than common wheat flour. 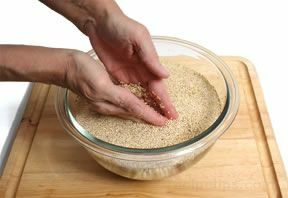 Because the teff grain is so small, there is no way to remove the husk, bran, and germ, which means that none of the nutrients are lost when the grain is ground into flour. Because Triticale is a man-made grain created from the cross breading of wheat and rye, the flour milled from it combines the nutritional benefits of both wheat flour and rye flour. There are many forms of wheat flour, but whole-wheat varieties are the most nutritious. 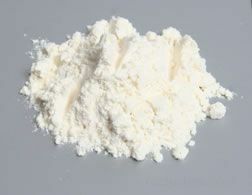 It can be added to white flour to improve the nutritional value. Studies have shown that the insoluble fiber in wheat bran may help fight colon cancer and at very least it is beneficial for the digestion. Gluten is the substance that gives dough its elasticity, strength, and makes the dough rise. Wheat has a high level of gluten. When baked goods are made with various types of non-gluten flour, wheat flour is often added so that the dough is able to rise effectively. Many types of flour milled from various grains, seeds, legumes, tubers, and nuts do not contain gluten. Gluten forms only when liquid is added to flour causing a reaction of the insoluble proteins gliadin and glutenin. 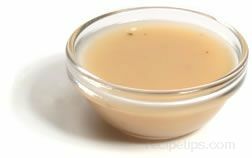 Gliadin has the consistency of syrup when it is combined with water and glutenin becomes very rubbery. 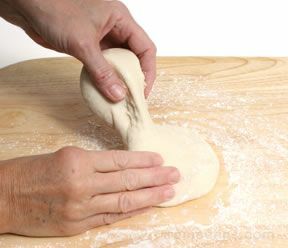 The combination of the two is what gives dough its sticky and elastic qualities. The quantities of these proteins are highest in flour milled from wheat, but the level is also high in barley, rye, and triticale. Grains related to wheat, such as spelt and kamut®, also contain the proteins necessary to form gluten. 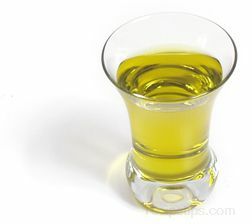 Condiments that contain gluten include soy sauce, some types of ketchup and mustard, some varieties of dry spice blends, vinegar distilled from grains, some types of salad dressing, which may contain a modified starch often containing gluten, and some types of rice syrup that may contain barley malt for flavoring. It is also important to remember that many foods prepared in restaurants that contain gluten-free ingredients may be prepared next to or on the same surfaces as high-gluten foods, so gluten contamination may be possible. 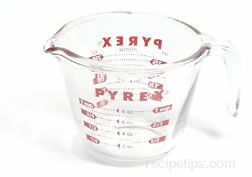 An example would be using the same griddle to prepare a gluten-free food that is used for a high-gluten food, such as pancakes. If in doubt, it is best to ask when ordering certain foods in a restaurant.